Keep Your Site Maintained And Up To Date! You’ve just posted your website to go live, and it’s exactly what you dreamed it would be. But where do you go from here? A website that’s perfect on day one won’t stay that way for long because technology, algorithms, and the world keeps changing, so your business will too. Digital Diagnosis Marketing makes sure your website is always in top shape by performing regulated and consistent maintenance on it. When consumers want something, they want it quick. Don’t make them sit around waiting for your pages to load, because they will leave if it's too slow. As your company grows and offers new products and services, your web pages should grow as well to keep your audience up to date. Photos and graphics can get old fast. Consistently enhancing your site with new ones is the best way to keep your audience engaged. Mobile sites are the first memory of your brand nowadays as 77% of Americans carry around a smartphone. If your site isn’t built with a mobile first mindset, we can help. Just like anything else, websites and pages can break, but Digital Diagnosis Marketing is always here to stay on top of it. Consumers want to be able to find what they need, when they need it. 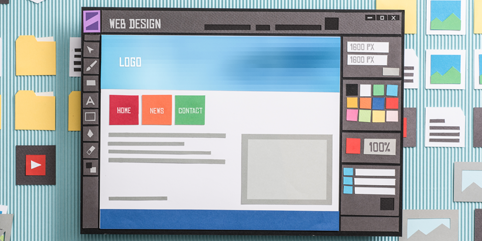 Your site’s layout could be the only thing that is keeping them from contacting you. We make sure users can navigate the site easily. Being flexible and willing to embrace outside critique, helps you improve every day. We make sure there is a spot on your site for people to voice their opinion, so you can improve your business if you feel it is a good option. What’s the point of making changes if you can’t see the results? Digital Diagnosis Marketing studies the traffic that comes to your site, so you can showcase more of the pages that convert, and less of the ones that don’t.